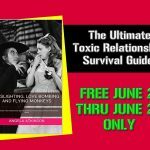 Are you dealing with narcissists and toxic relationships? I’ve got something for you. Are you tired of feeling like you’re not good enough? Do you wish that someone in your life would just put your feelings first, for once? Or maybe just to consider you at all? Tired of being told you’re the crazy one as you deal with mind games at home or work? You might just be involved with a narcissist. Narcissists are abusers – but they don’t usually beat their victims physically. 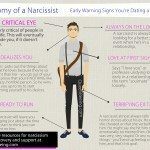 No, narcissists are sneaky – they’re much more insidious in their form of abuse. 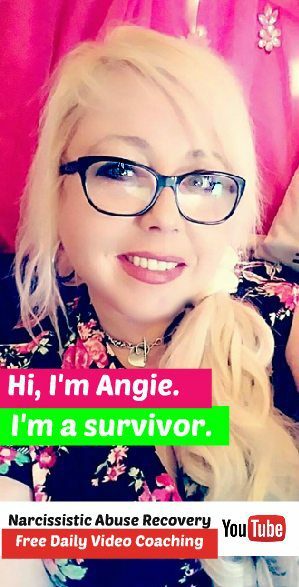 When you think of someone in an abusive relationship, you think of someone who is getting beaten and battered on a regular basis, right? But while domestic violence is heartbreaking and unacceptable, there’s another form of abuse that might be even more dangerous. 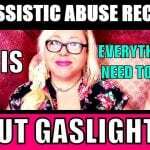 But even though you can’t always see physical evidence of abuse, the kind of overwhelming, all-consuming emotional abuse inflicted on the victims of narcissists is a form of aggression that should also be recognized. The soul-crushing kind of abuse that is inflicted on the people who love a narcissist might not be visible to the naked eye, but it can leave devastating emotional scars that never go away. Most people have no idea how much the “sources” of narcissistic supply suffer in their relationships – and yet when these victims speak up, people often mistake them for whiners and dismiss their pain. This, of course, leaves them confused and blaming themselves for everything that is wrong in their lives. This book offers a in-depth guide to surviving and thriving during and after life with a narcissist, in whatever degree necessary for your life. 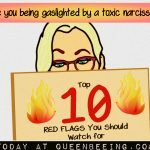 You’ll learn to recognize narcissism in those around you, plus how to identify and stop typical manipulation techniques, such as gaslighting, in their tracks. Find out how to start focusing on what you want and need first, and learn how to stop feeling like you’re not good enough. You’ll find out how to choose your new reality and sharpen your skills for coping with anxiety and stress. Ask yourself: is there someone in your life always puts their own feelings, needs and wants ahead of yours – someone who never seems bothered to ask how you feel about anything? 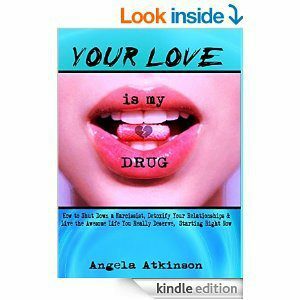 In these pages, Author and Certified Life Coach Angela Atkinson, herself a survivor of narcissistic relationships, offers insight from both personal experience and professional understanding. In addition to giving you tips and tools to understand and handle the toxic people in your life, Atkinson shares practical insight into the workings of a narcissistic mind and serves up proven techniques for handling encounters with your narcissists. Plus, you’ll learn how to redefine yourself as an individual and start on the path of rediscovering yourself and your own identity. This book doesn’t ask you to do anything you’re not ready to do, and it’s not going to tell you to end the relationship no matter what. Instead, it offers a detailed blueprint on various options you have to deal with the toxic relationships in your life and helps you to learn how to take the upper hand with narcissists and come out on top. This book changed my life. Thank you. It says download for free but when sent to amazon website it’s not free. Hi Jenn! Sorry for the confusion – this post is from last year, and that’s when the free deal went on. I’ll be happy to let you know when this is free again. Hi im getting the same as jenn free download today, but then takes you to Amazon to purchase it ? Hi Shawn, sorry for the confusion! This was a limited time freebie from last year. I’ll be happy to let you know when it goes on free again. I am going through an invisible hell with what I believe to be a narcissist. I am having a difficult time trying to convey to you in a cohesive manner everything that has happened in the past 3 years. I feel no one will believe me because it is so out there and far fetched that it sounds like a bad script for a lifetime movie of the week. In fact, I cant . I changed my mind, I don’t even know where to begin, and it would be a story of biblical proportions, and I just don’t have it in me now. Thank you, and sorry I took up your time. Sounds exactly like what I’m going through. Everyday I’m just going through the motions. I noticed you had written this several months ago and wondering if things are better for you? I need some positive input. Pinterest (and probably this author!) has some links to useful graphics on traits and phrases that are common to these personality types. So much variety, but common ones seem to be entitlement surges, phrases used, very different personalities and attitudes with different individuals, and destructive (to others and self) behavior (direct or indirect threats) to control others. See strategies switch quickly and attacks/threats go on for hours…or suddenly escalate when challenged or confronted…good to know, and very surprising to many that they are not the only one hearing these exact phrases, possibly all their lives. I had no idea of what was purposely being done for over 40 yrs now. Honestly now looking back I didn’t stand a chance at ever having a “normal” and “healthy” life. Ran away at 15, had my first daughter at 19 and married the same year. He was the first of 3 mental, physical, verbal, sexual and emotional abusive husbands.then added drug abuse to my list of sh*t to struggle with. Moved back with her in and off through the years. I used to b a very angry confrontational young woman. Quick to defend myself or my children..luckily God blessed me with maternal instincts..which for me was the first time I’ve experienced a pure untAinted love..
Now I’ve fallen ill unable to work under her roof. This 68 yr old woman is nothing more than a bully. To me , my grandchild, and pets. They are the only reason I stay. To protect them from her. I may not always speak up for myself but I’ll be Goddamed if she ever attempts to take it up a notch. I was so relieved to stumble upon this topic to know I’m not crazy or alone. Always has to be right, says your a bad parent because you don’t agree with them,my mom passed away and i get no support, his ankle hurts while im sick in bed and its all about him, telling me im stupid, unknowledgeable, i shouldn’t have a plan b if him and i don’t work out, i dont need friends,i dont need family it hours on and on. Ughhhh been the silent treatmemt now going on the 3rd day.